It is truly adaptable, fitting into all life and interior styles, making it the perfect choice for reflecting our new perspective for 2017. 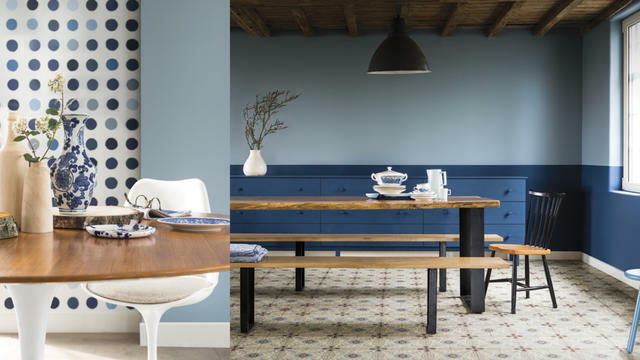 Discover the Dulux Color of the Year 2017, Steel Symphony 2, and its supporting colour palette below to reflect the sign of the times and a fresh look on life. 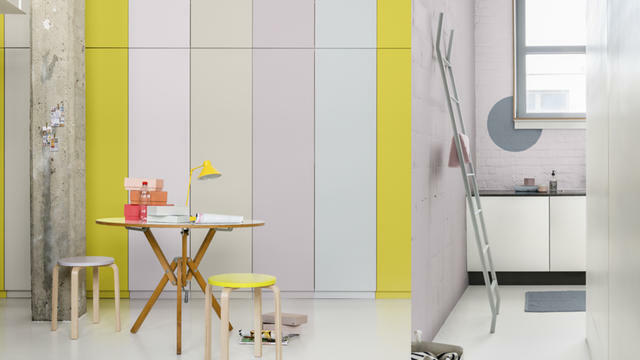 It’s a beautiful colour palette, which is on trend, simple to understand and yet so new, sophisticated and versatile. Our digital world is changing rapidly. Life today is increasingly urbanised, and our outlook on what’s important is changing to prioritise the simple things with a fresh look at our lives – family and friends, work, connection with nature and our experiences as a whole – yearning for connection, simplification, recognition and a slow pace of life. As a result we are drawn to simple, restful colours we understand and recognize. Colours that have a history and meaning, that works without effort. 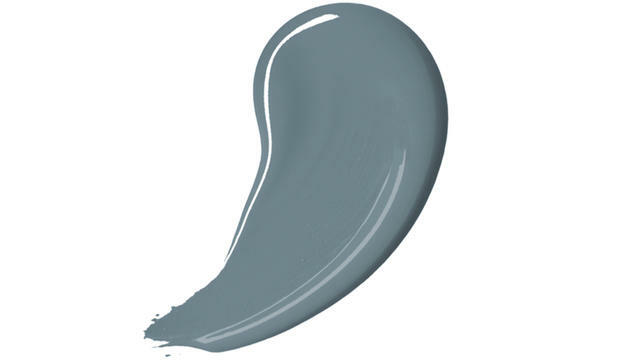 We have chosen Dulux Steel Symphony 2 as the colour that encapsulates the mood of the moment. It is the colour of our every day – the sky above us, the clothes we wear. It is a sign of the times, a colour of the times and as of this year, the colour to paint on our walls. So get your brush ready to dip into Steel Symphony 2, our Dulux Colour of the Year 2017, as identified by our international body of specialists – each handpicked from their own respected field of design. To show how versatile Steel Symphony 2 is, the team from our Global Aesthetic Center has curated four trends that each use the colour to different effect. 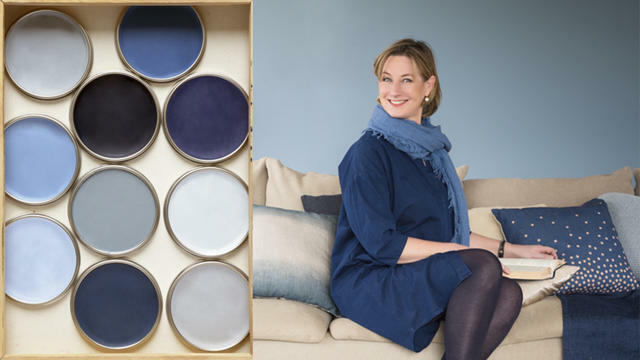 Read below and discover how easily Dulux Steel Symphony can transform your home into a stylish expression of any one of our new Colour Futures Trends! Broad horizontal wall stripes make a room feel more spacious. When painting stripes, always use the lighter colour such as Dulux Clouded Pearl 2 as the base and allow to dry. Then measure and tape the walls before painting the darker colour – Steel Symphony 2. The trend of turning away from the material to focus more on sensory experiences is gathering momentum. 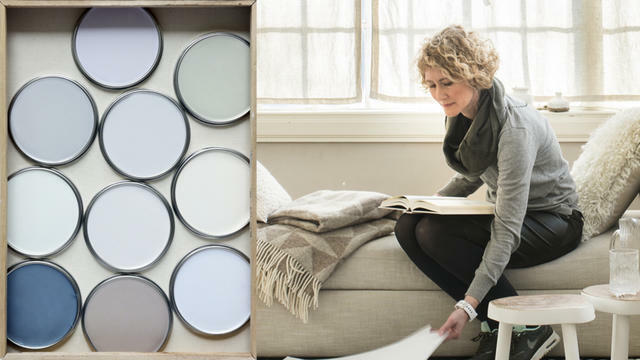 This pared-back palette truly reflects this new focus. 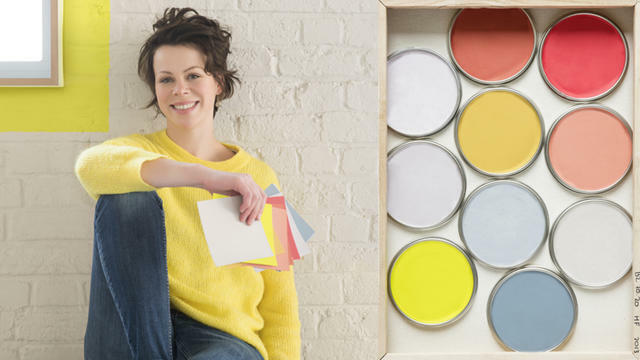 Try this look in your home with our Dulux Visualizer app. “We feel a connection to nature. A responsibility to take care of the world, to be sustainable in every way. Take part in the barter economy and re-use products. We have an increasing interest in health and responsibly grown food and more of us than ever are trying to grow our own. 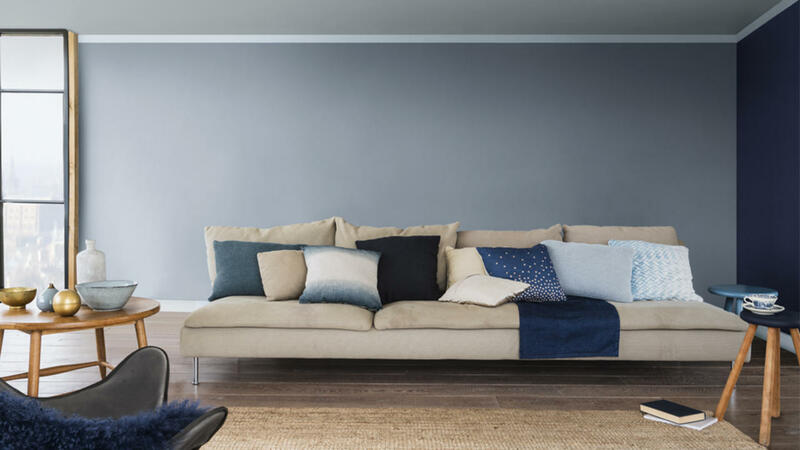 If your home is your sanctuary, you’ll enjoy applying these cool wall colours to create a calm, inviting mood. 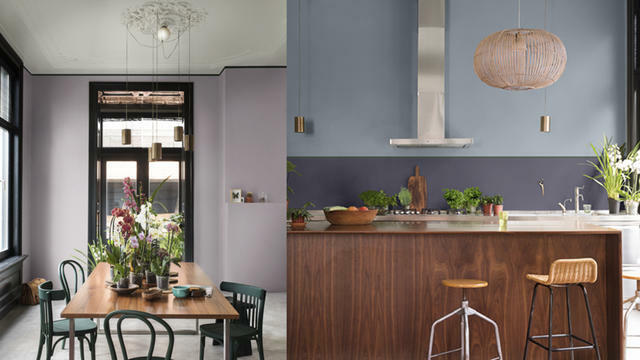 Offset the natural tones of Steel Symphony 2 , our Color of the Year 2017, with this bold purple in Dulux Moon Waves 2. Then blur the lines between indoors and outdoors by using a variety of lush plants and botanical elements, like these wicker accessories. Discover the bright side of Steel Symphony 2! Using a shared palette allows you to create pockets of individuality that work together to create decor cohesion. How do you make the walls of a shared home reflect the individual personalities within? It’s all about warm, welcoming colours working together. 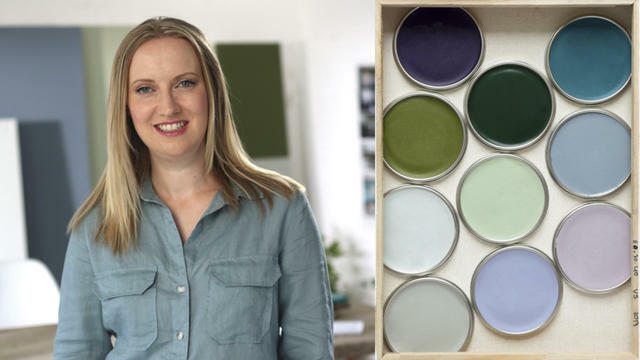 This palette has a bright lime Dulux Tarragon Glory 5, a soft fresh pink Dulux Party Surprise 5 and a lively coral cerise Dulux Silken Sunrise 1, but put it alongside the calming influence of Steel Symphony 2 and you capture all the character, without compromising your overall decor look. 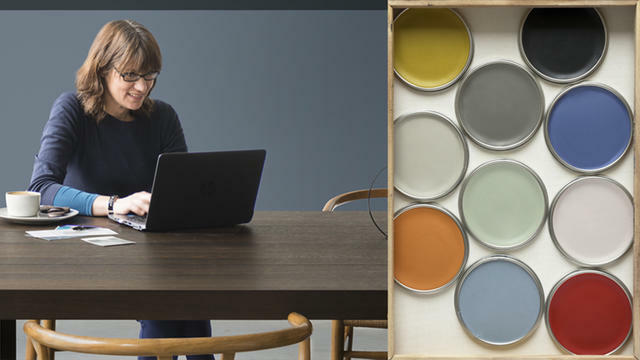 A colour palette for work and play! Contrasting colours are your best tools in creating the right home space that inspires work and play. In a world of smartphones and tablets, this need for a ¬flexible working space – in cities or country retreats – is ever relevant. 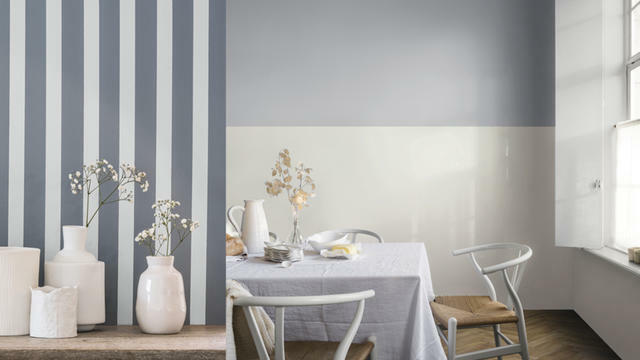 Try the masking tape feature within the visualizer app to create a two tone wall such as this dining room in Dulux Dusted Moss 2 and Dulux Steel Symphony 2. 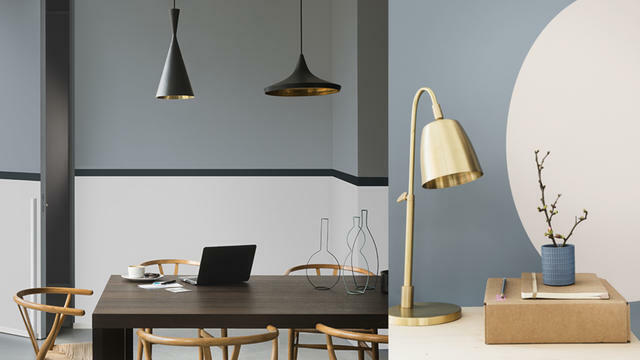 Finish the look with a strong graphic line and repainted pendant lamps in Dulux Night Jewels 1.